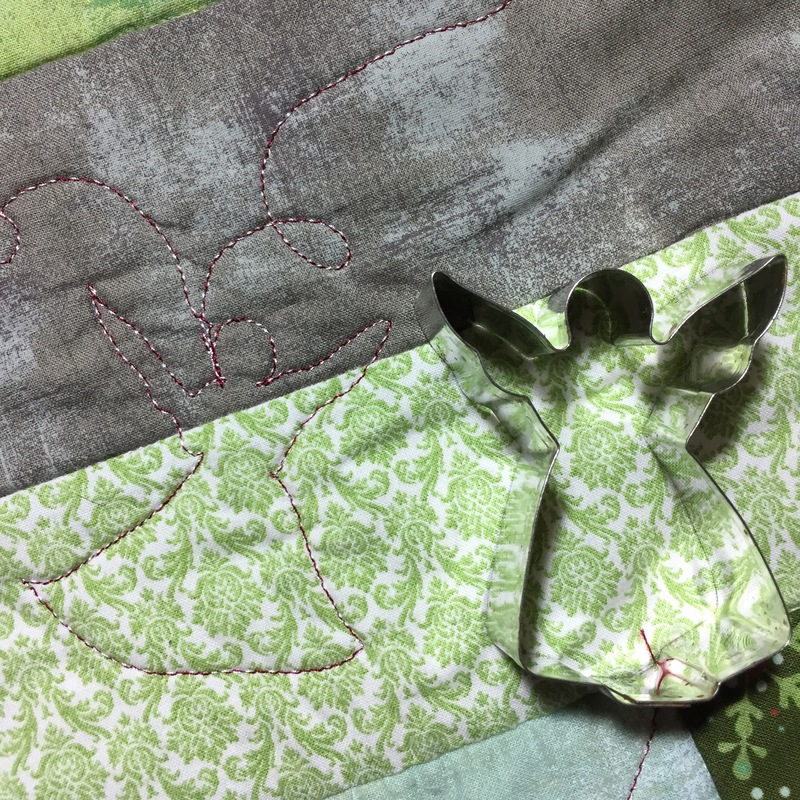 While I can spend hours thread-painting a detail on one of my critters, I have the patience of a flea when it comes to functional patchwork quilts. So it was that I found myself staring at a pattern for my beloved Basic Grey 🎄collection of a few years ago…which called for a bazillion HSTs. The only sensible thing to do was to tear up the pattern and go rogue! Once I got the piece onto my long arm, I decided to have some fun with thread. Any number of colors would have worked…but I decided to go for a candy cane effect. Red and white went through the needle, red in the bobbin. 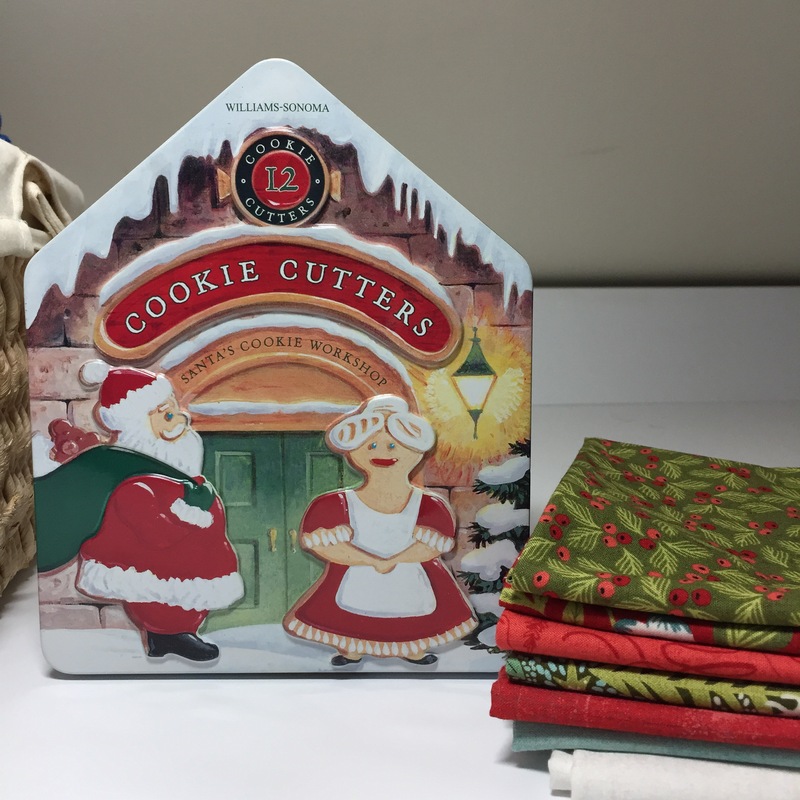 Next, I stared at the tin of Christmas cookie cutters that had gone into retirement when I became an empty-nester. 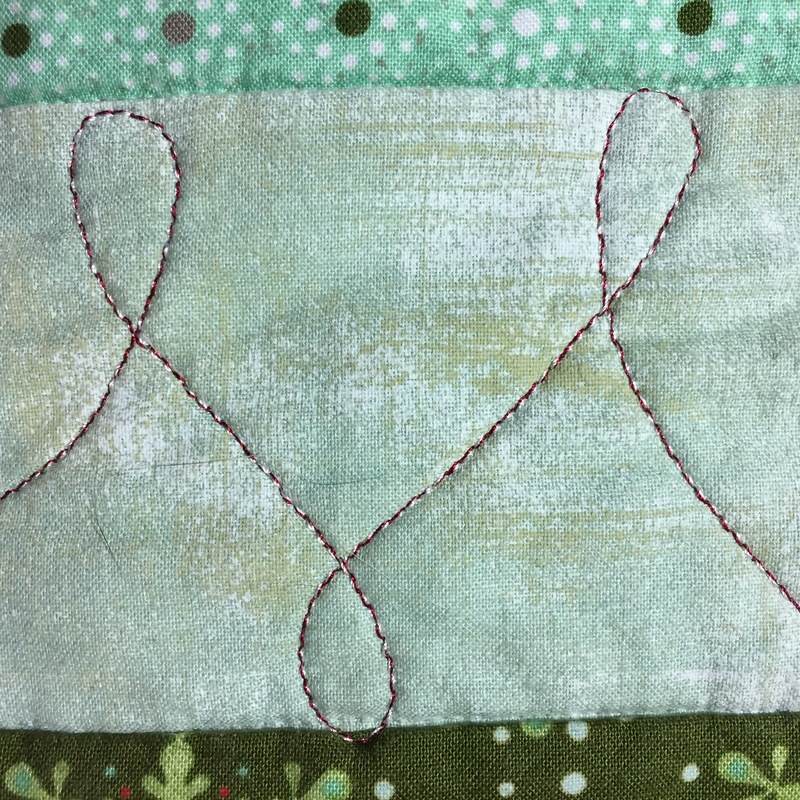 Using a Frixion marking pen, I traced candy canes and angels and snowflakes in random places, then carefully stitched over them (connecting with a basic lasso stitch). So much fun! And the quilt was finished before Christmas that year ;). Did I miss the whole piece? 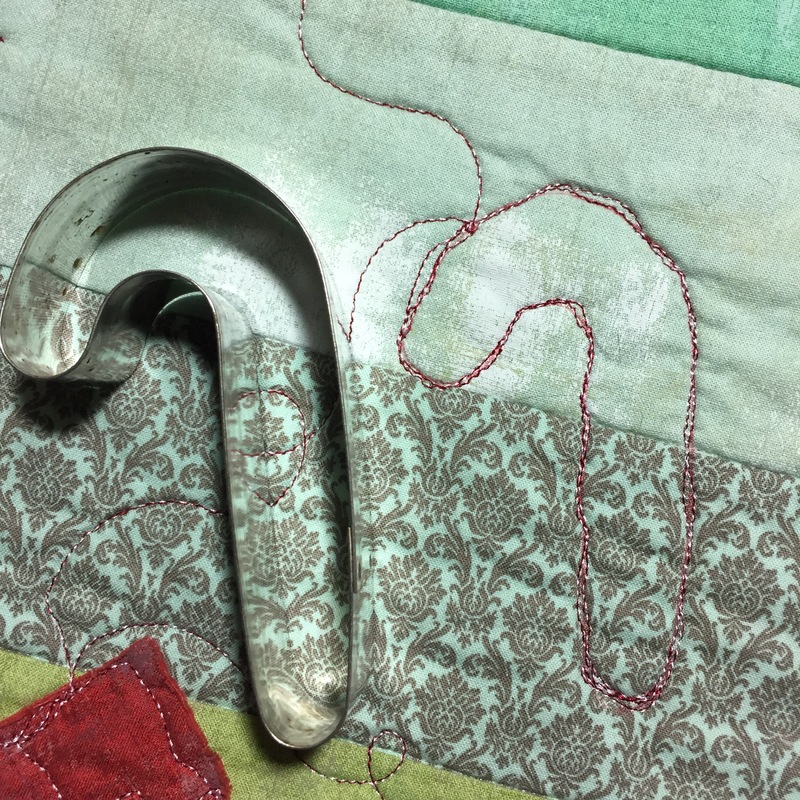 If you didn’t piece HSTs, what pattern did you use? and BTW brilliant idea for the quilting! Hi Sally! 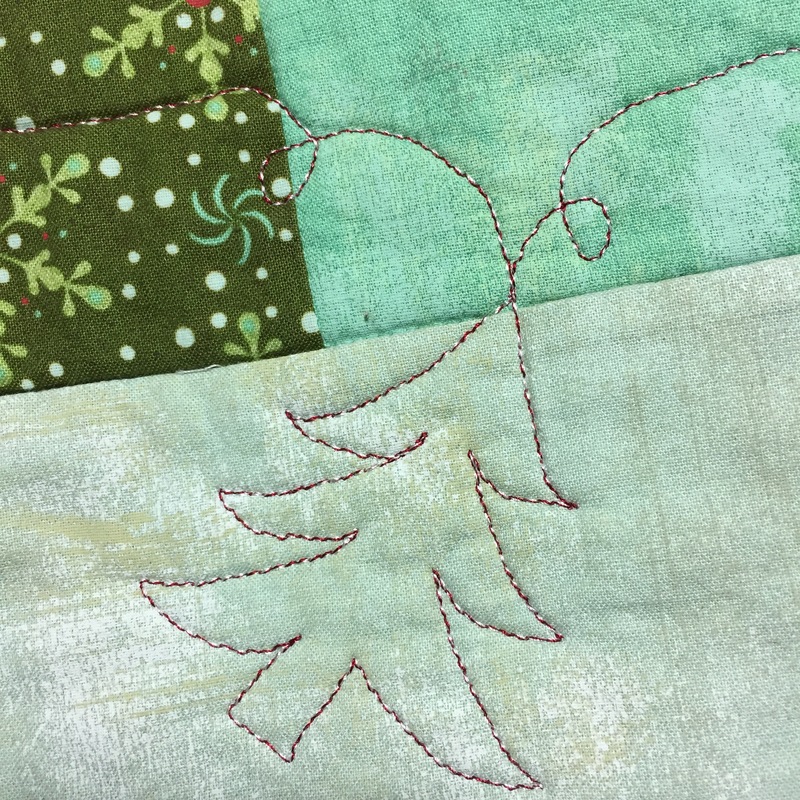 The piecing was nothing to write home about…I cut all of the fabric from the kit into jelly-roll size trips and did the top third on the horizontal and the bottom two-thirds on the vertical. This is the only picture I could find that did not include a cat obscuring most of the quilt ;).